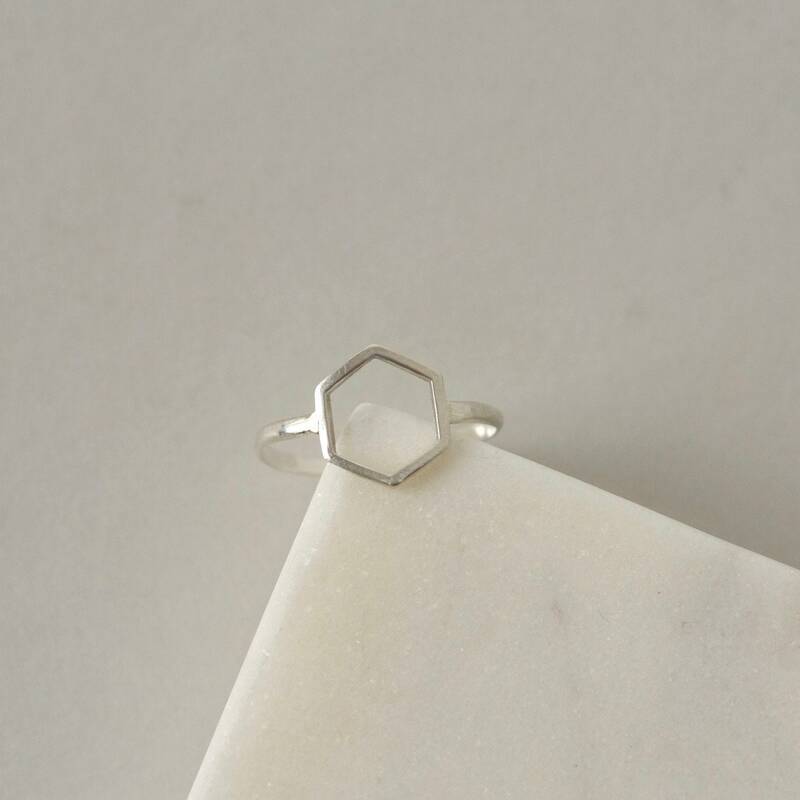 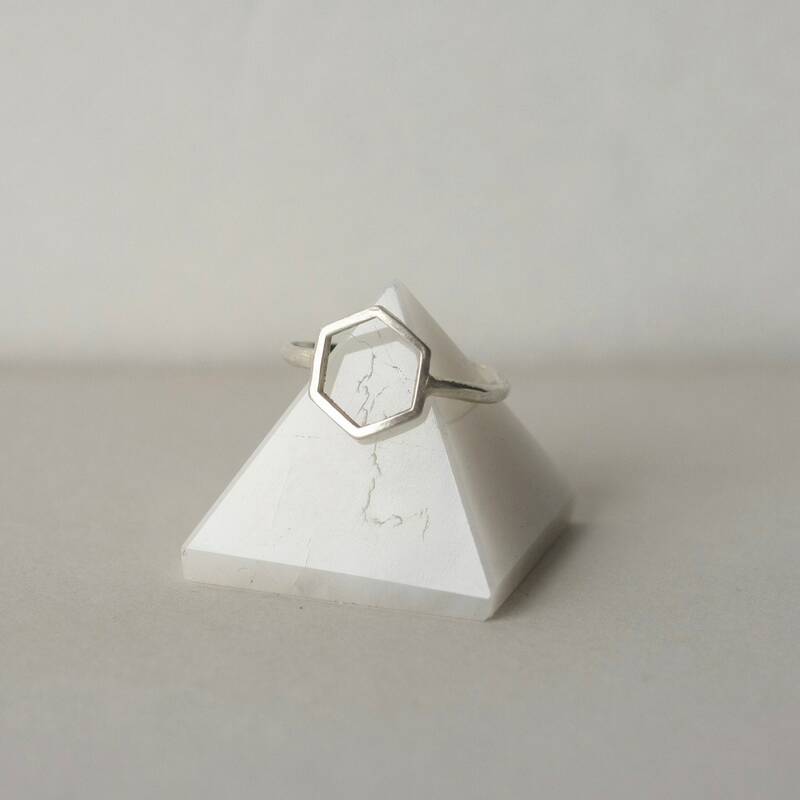 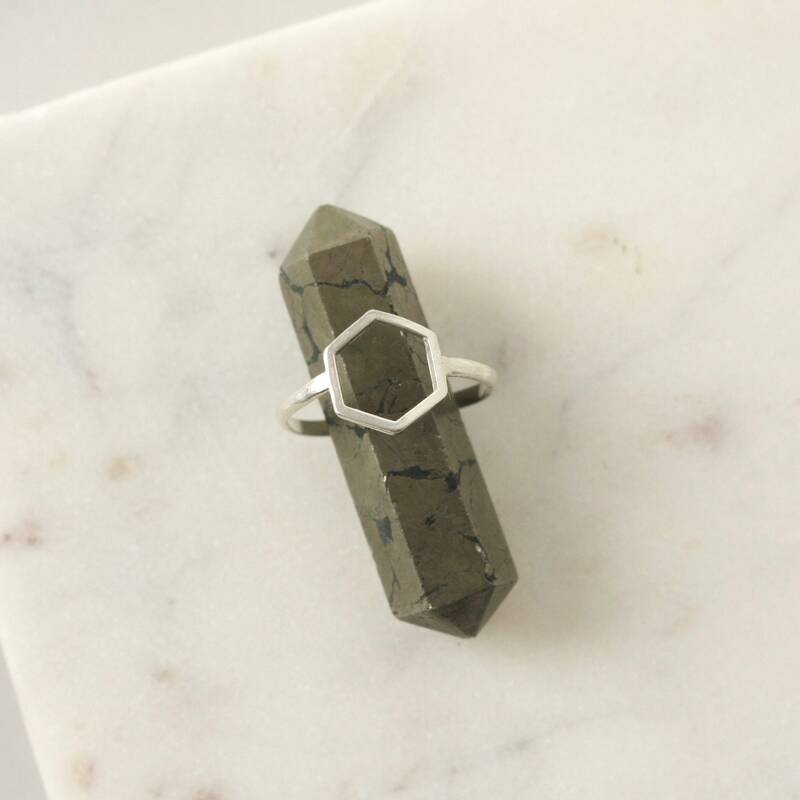 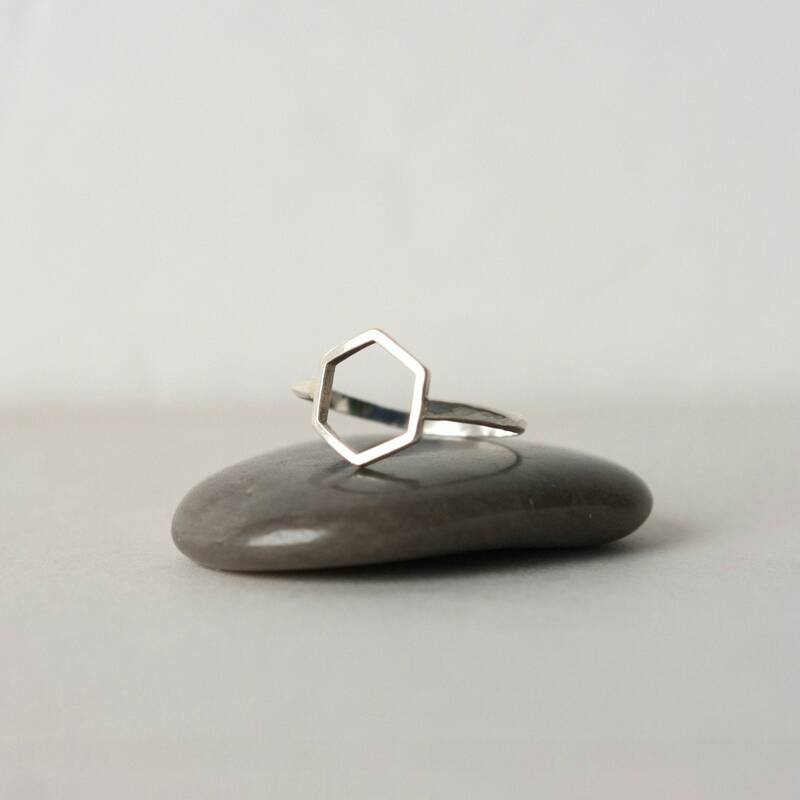 This focal point of this modern geometric ring is a 10mm hexagon that has been soldered to a slim sterling silver band. 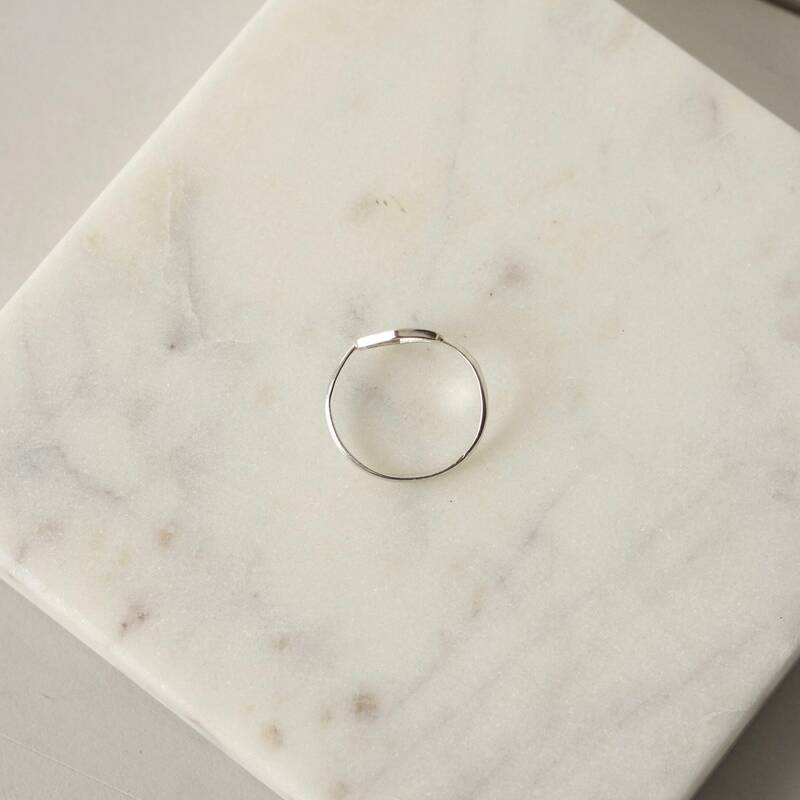 The ring has a brushed texture for a subtle matte shimmer. 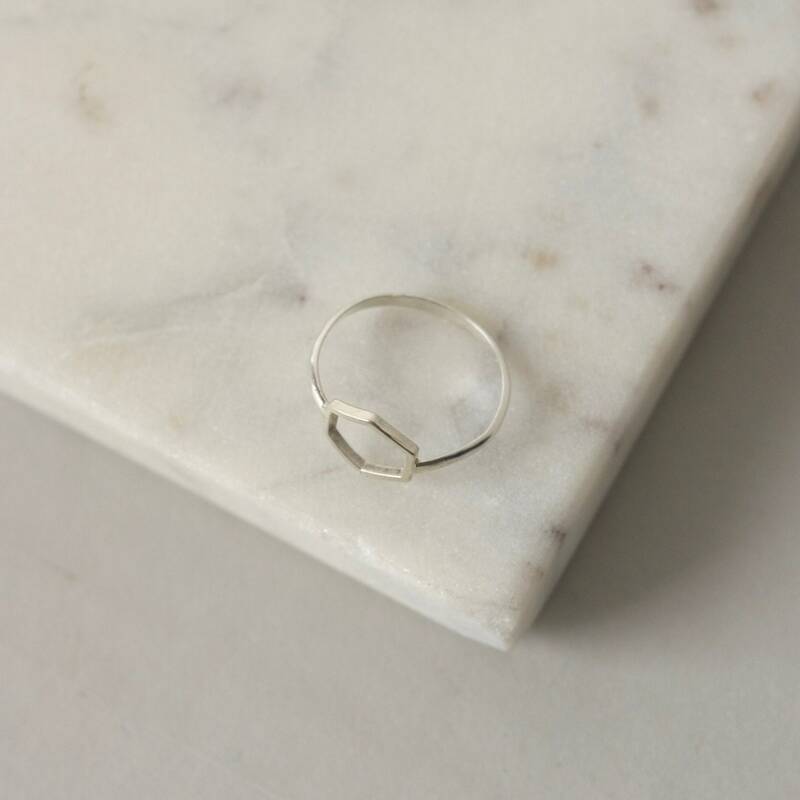 The wire for the band is half-round and it's about 1.2 mm wide. 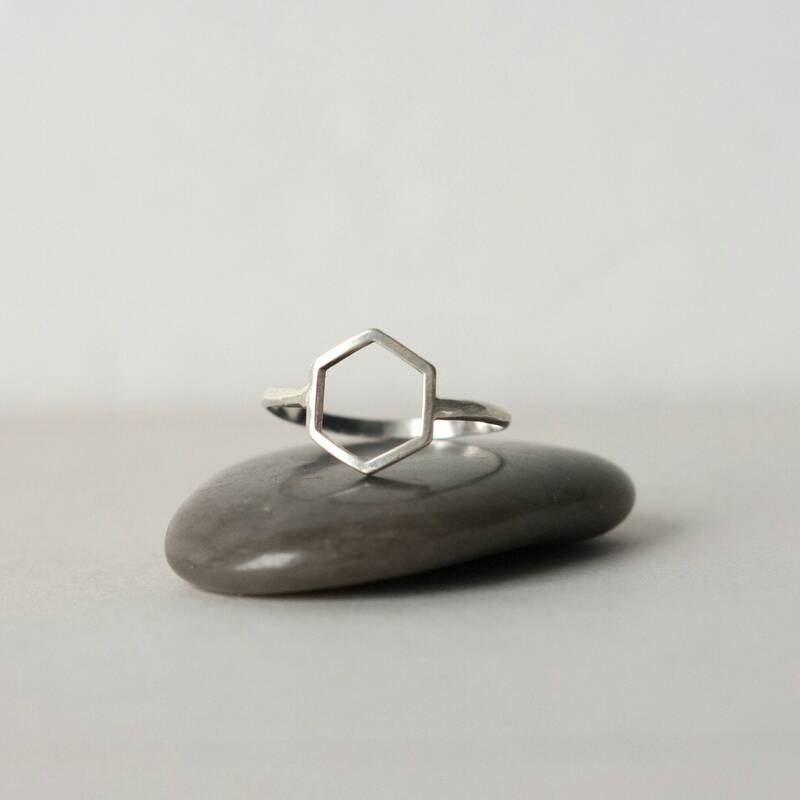 This ring is a size 5.